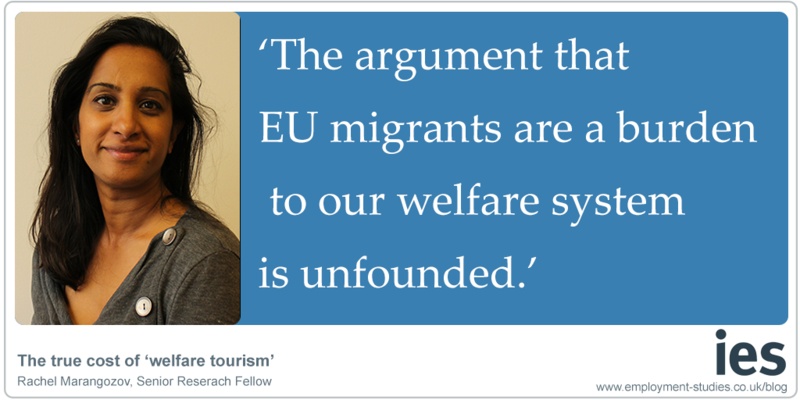 The argument that EU migrants are a burden to our welfare system is unfounded. Recent IES analysis has found that overall, EU migrants are less likely to claim benefits than UK nationals, with 34 per cent of EU migrants receiving some form of benefits (in-work and out-of-work) compared to 40 per cent of UK nationals. Only a very small proportion of EU migrants in the UK claim the state pension (less than 0.1%, compared to 10% of UK national aged 18-69), and larger proportions of UK nationals claim unemployment benefits, income support and disability or sickness-related benefits than EU migrants.